Topaz Labs has released their newest piece of software to add to their already incredible line of post processing plugins. The latest and greatest, Topaz ReStyle! It is an incredible cross processing and color manipulating work horse that takes all of the guess work out of great effects. I have done quite a bit of cross processing and color manipulation, but it usually takes me anywhere from 15-20 minutes to get the perfect mix of colors on my own. 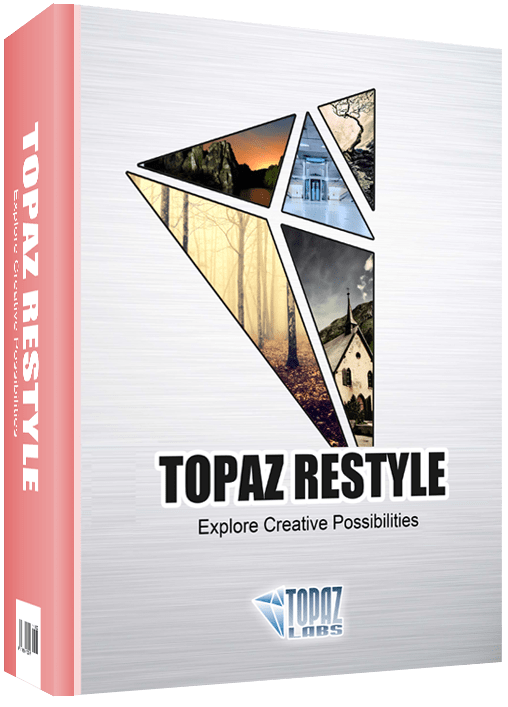 Topaz ReStyle is quick, efficient and offers me over 1000 color palettes to choose from when cross processing or manipulating the colors of my images. Topaz ReStyle takes all of the guess work out of making awesome color manipulated images. You can very easily navigate through the Interface to find the perfect color palette for the photo you are working with. Like most of the new Topaz software, the intuitive interface shows you a very large preview of how your photo will look prior to applying the effect. This saves a lot of time during your workflow as you do not have to guess how it will look when you select the preset. There are over 1000 presets to choose from in the panel. If you have a rough idea of the palette you are looking for you can scan through rather quickly and find the perfect one for your photo. The color palettes are fully customizable. Each preset is divided into 5 color regions that will effect different tone regions of your photo. Each region allows you to customize the hue, saturation, and luminosity of the color being applied. Moreover, you can adjust the Opacity and even the blending option! The best part, it is quick! While cross processing and color manipulating is a relatively fast task with the curves adjustment in PS, it is not as accurate every time for every photo. As I stated before, I have spent up to 20 minutes trying to perfect my color palette with some cross processing in the past. ReStyle drastically reduces that time to mere seconds. The only bad thing about ReStyle is you may be seeing more color manipulated photos coming from me as I plan on using this program and awful lot more in my post processing. Buy it! hands down, Topaz ReStyle is the workhorse in color manipulation. It will save you countless hours in post processing time. Whether you are a landscape photographer wanting to push your sunsets and sunrises to the limit or a portrait/wedding photographer who wants to add that extra color softness to your photos, ReStyle will make it fast, simple, and effortless. Was going to ask you about this one to see what you thought, since I saw an e-mail from Topaz in my inbox. Never mind. Will be the second thing I bought from them in a month. It rocks! It is a lot of fun to experiment with. Gone are the long nights of figuring out a good color tinting palette. The tutorial will be up tomorrow, I am sure you will have it figured out in a couple of minutes though, you are good with things like that. The weird thing about this is that I’ve been playing with color palettes for the last several days while testing out my drip painting brushes, so I was pleasantly surprised to see this. I’ve actually got quite a bit to say about picking color palettes next week. Blake: I am a huge Topaz fan and this is their best product yet! My only piece of advice is that there are so many different tints that you really do have to sort through and build your own favorites lists of presets up front, and that will save time later. My favorite for landscapes is Saffron Sunset. I could not agree with you more on all accounts. Making a set of your favorites on the front side is crucial to a speedy workflow. I have to plus one your comment on Saffron Sunset! Thanks for the feedback, take care, Gerald!